If you are in search of Job Test Past Questions and Answers, you have come to the right place. Given the obvious fact that there are more graduates than available Jobs, getting a decent job is quite competitive. This development makes it important for you to be adequately prepared to take your opportunity when it comes. Most organisations use the same Job test format for Graduate entry positions, these includes Banking, Oil and Gas, Telecoms sectors. Irrespective of discipline, all applicants are mostly subjected to the same test. The typical Test Format includes Numerical reasoning, Verbal reasoning and Abstract/ Inductive reasoning Test Questions. These exams are often administered by an outsourced Test agency like Dragnet or Workforce group. Download the Ultimate Graduate Job Test Study Pack (Questions and Answers) on Q and A App. 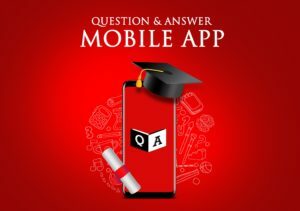 Q and A App is available for Download on Google Playstore. If you do not have an Android device, send us a mail at knowbaseconsult@gmail.com or SMS 07052193183. Note that Dragnet and Workforce Group Job Test Questions and Answers are also available on Q and A App. The numerical reasoning test measures your ability to interpret numerical information presented in tables, charts and graphs. You will be given numerical scenarios and asked several questions per scenarios. The verbal reasoning section measures your ability to think logically about written information. In this test, you will be given passages of text and several statements relating to the text. You will be ased to decide whether each statement follows logically from the information in the passage. In this section you will have to answer questions that require you to follow the logic underlying a set of figures. In each question, you will need to determine which of the possible answers best matches the next figure in the sequence, or replaces a missing figure in the sequence. Powered by Appswheel and Knowbase.